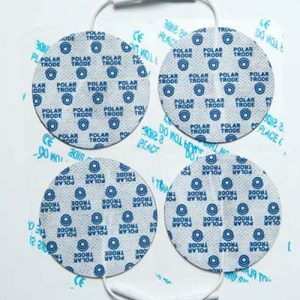 Polar Trode Electrodes are used with neurostimulation devices, the electrodes have to used in pairs. The electrodes are placed on the body; a minor electric signal will send true the body and reduce nerve signals between the electrodes. This method is used for TENS and muscles-stimulations. 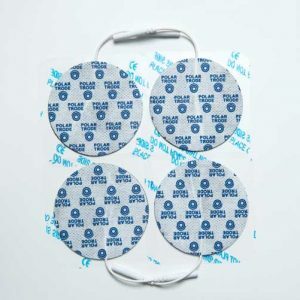 Polar self-adhesive carbon film neurostimulation electrodes feature soft rubber lead wire attachments that make it easy to attach them to the electrode lead wires. 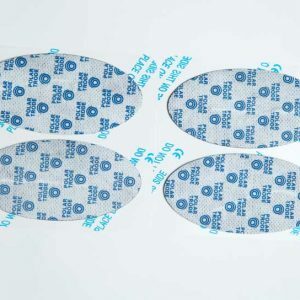 A long lasting gel provides strong adhesion to the skin. Polar Trodes come in four convenient sizes.